Cougar Band Camp is an exciting summer camp geared toward Junior High and High School Band students. The camp is held at the Moores School of Music on the campus of the University of Houston. Campers are given a choice of staying in the dorms on campus (Residential Camper) or being dropped off and picked up each day (Commuter Camper). The cost for Residential Campers is $555.00 and for Commuter Campers is $395.00. There is a $200.00 deposit on registration and the remaining balance can be split into 3 remaining payments. There is also the option to pay in full. There is a $50.00 discount available if the balance is paid in full by May 31, 2019. In addition, returning campers are offered a $50.00 discount. Discounts are also offered for High School students who earned All-Region, All Area or All-State (confirmation is required in writing from your band director). The Camp begins Sunday afternoon with registration and auditions. Students will pick their own audition music and should also be prepared to play scales that would be found on the region level audition for their respective grade level. Students will be placed in performance ensembles based on the results of the auditions. Following registration and auditions, all groups will rehearse for the first time on Sunday evening. 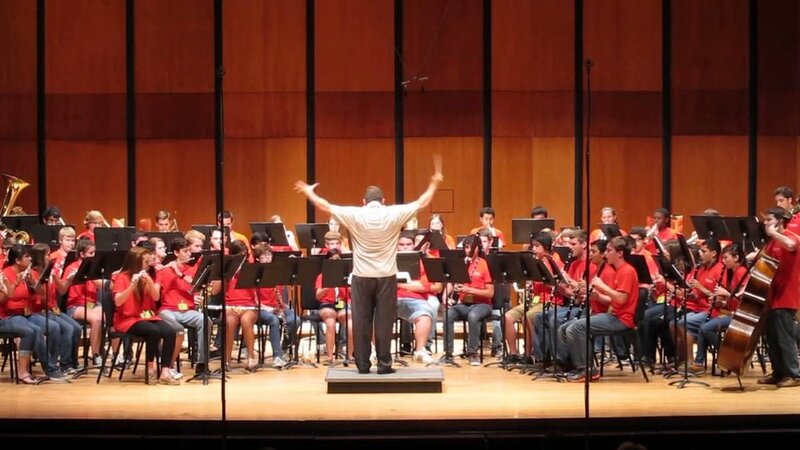 Starting Monday morning, the camper’s day will consist of band rehearsals, sectional rehearsals, master Classes and elective classes that the campers will have chosen. After the last class, Commuter Campers are dismissed to leave unless they have opted to stay for that evening’s social event. On Monday, Tuesday and Wednesday evenings, there is a social event that is included in the cost of Residential Campers and Commuter Campers can add to their registration if they wish to attend. The Camp concludes Thursday afternoon with concerts that will feature each band. The Concerts will begin at 4:00 p.m.
For all financial or general questions please email Mrs. Rhonda Pitts, UH Band Administrative Assistant, at rmpitts@central.uh.edu.